Do not roll the windows down for 3 days until the film has properly adhered to the glass. 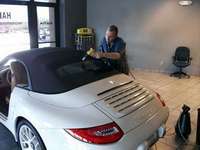 Do not wash the window film inside the vehicle for 30 days after installation. Do not use abrasive cleaners or coarse clothes when cleaning your window tint. Use mild soap and a clean, soft cloth or synthetic sponge. Avoid ammonia based window cleaners forever on your new window film installed. 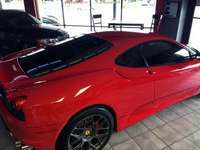 “This is written notification that The Car Guys of Scottsdale is an approved, factory authorized SunTek Window Films dealer. 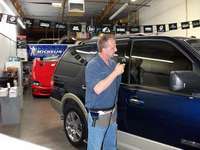 The Car Guys of Scottsdale have been providing quality service in the window tinting industry for over 18 years. The company employs only master level technicians for Automotive, Residential and Commercial applications. 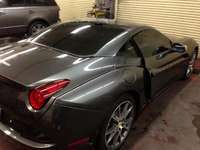 The company has an outstanding reputation for superior, high quality window film installations. 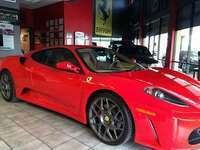 Please feel free to contact me if you have any additional questions regarding The Car Guys of Scottsdale’s factory approved status." 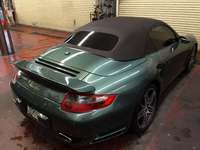 Maintain your vehicles original condition by reducing upholstery and dash board fading. caused by the headlights, snow and sun making driving more comfortable. 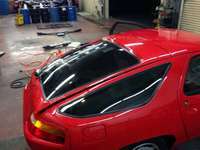 1-Piece Rear Window Film Installations! SunTek developed and manufacturers Carbon Series Premium Films to endure the scorching 100 degree temperatures of our Arizona heat. Ensuring optimal heat rejection with true low reflectivity, making the Carbon Series films withstand the hottest temperatures and most intense sunlight Mother Nature has to offer. Based at the Scottsdale Airpark we also serve all of Phoenix, AZ and surrounding valley communities so call 602.524.0807 or contact us for a Free Window Tint Price Quote Today! 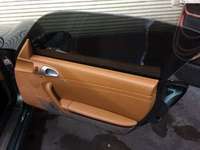 Serving Scottsdale, Phoenix, North Scottsdale, Tempe, North Phoenix, Cave Creek, Carefree, Paradise Valley, Fountain Hills, Arizona with the best SunTek window tinting available in Arizona.